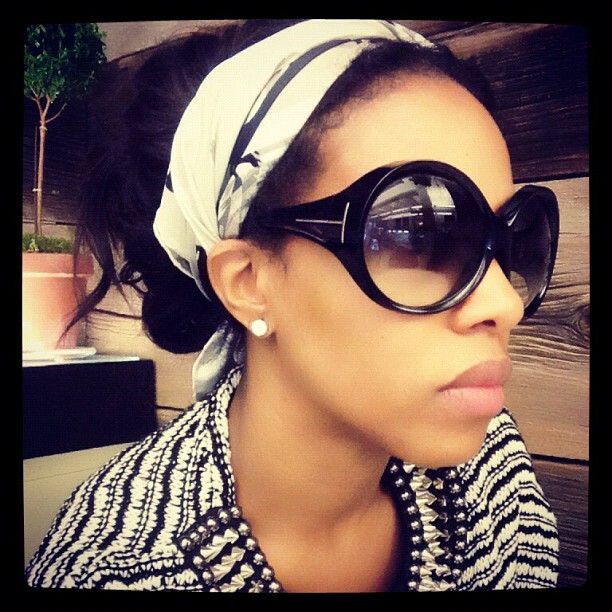 7 Beauty Secrets I've learned from Instagram! I've taken on a new hobby lately which involves scouring through my instagram feed with the intentions of finding beauty products and skin care secrets of pseudo-celebrities. These people aren't your typical beauty gurus who are always going on and on about the products they love. What I look for are the little gems that show up when someone who normally doesn't focus on beauty reviews, flashes a pic and gives us a quick glimpse into their secret world. Would you mind if I shared these with you today? The Instagramer who posted the pic below isn't a celebrity. Based on what I learned off her page, she's a MAC makeup artist. 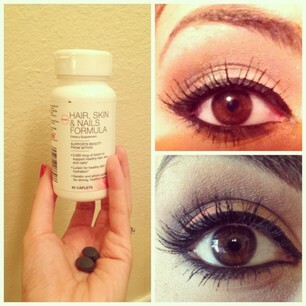 But I was really inspired by her eyelash progress pics after using GNC Hair, Skin and Nails formula. She captioned the pic with this message to her followers: "Had to share! Noticed my hair becoming fragile so I began supplementation. I've been taking them for almost four weeks and noticed an unexpected fullness in my lashes." In both the before and after pic, the user stated that she was wearing the same mascara (MAC Zoom Lash). I really liked this pic because my intention when I began taking GNC Hair, Skin and Nails was to make an impact on my puny lashes. So far I'm seeing really good progress. If any of you have paid attention to my Facebook feed lately, you've noticed me sharing pics of celebrity stylist June Ambrose. One feature of hers that you can not help to notice is how flawless this woman's face is. June, (who is probably in her 40's) looks amazing in every bare faced pic she uploads. Recently, June posted the pic below where she shared how she creates moments of serenity in the morning by drinking her tea while allowing her eye cream to soak in. Followers were so taken aback by her perfect skin that they practically begged her to share what she uses to promote her skin's health and glow. 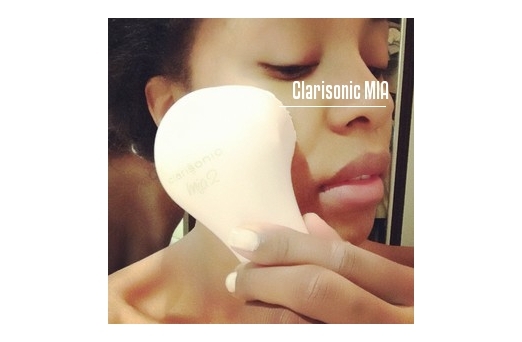 June was gracious enough to share this pic below of her using her beloved Clarasonic Mia with the caption that states: "You have to work our your face like you do your body! Here's how I keep it clean and firm." I already owned a Clarasonic, but for some reason or another, I had stopped using for a while. You best believe that after seeing these pics, I promptly located my Clarasonic and reintroduced it to my morning regimen. My skin is definitely thanking me for it. Many of you have probably never heard of Sheneka Adams. I hadn't either until recently. From what I gather, she seems to be an aspiring designer who's very involved in the urban club scene. Most of the pics she posts are shot after shot of her hanging out with her friends or boyfriend. But one day, she just so happened to share a rare photo of her barefaced skin. Her dewy freckled skin appears quite healthy. 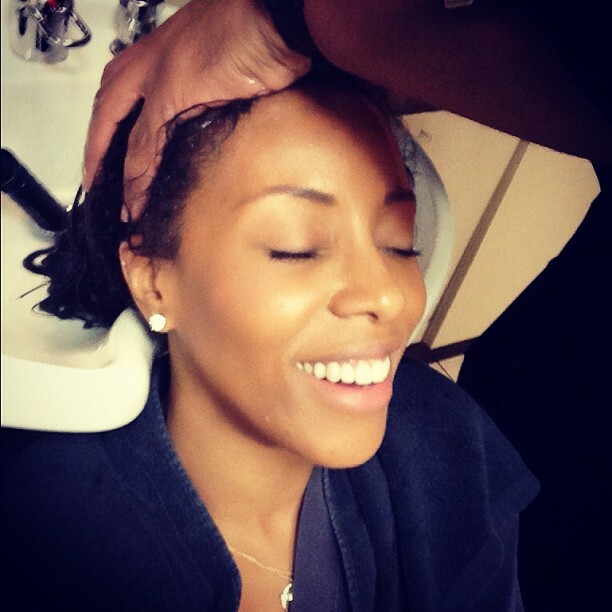 Along with the pic, Sheneka shared these words of wisdom: "One of my beauty secrets! The cucumber face peel mask! Keeps my skin oh so beautiful! I rarely post pictures of myself because I look crazy, but this is for those that keep asking! Cucumber Face Peel, try it!!!" Many years ago, when I was still living with my family, my brother went through this phase where he was determined to take care of his skin. Each night he would go through this ritual which included (among other things) applying a peel off mask. Night after night he remained consistent with his practice. Months later, he successfully created the most amazing looking skin I'd ever seen. He would get compliments all the time. Soon, that brand of face mask was discontinued and he slowly stopped following his strict routine. To this day, he and I still bring up the time when he was deeply into skin care and the amazing results that he achieved. Sheneka confirmed that she uses a basic drug store peel off mask to keep her skin on point. I'm making sure to pick some up next time I'm out and about. I stalk model/actress Lashontae Heckard's instragram with hopes that one day, she'll share at least one secret to her perfect complexion. So far, I'm coming up empty but she did manage to give us one of her beauty tricks that I jumped on right away. The one beauty secret she leaked was how she manage to create her perfectly striking eyebrows. Lashontae posted this pic below with the short message: "my eyebrow tools" to her followers. 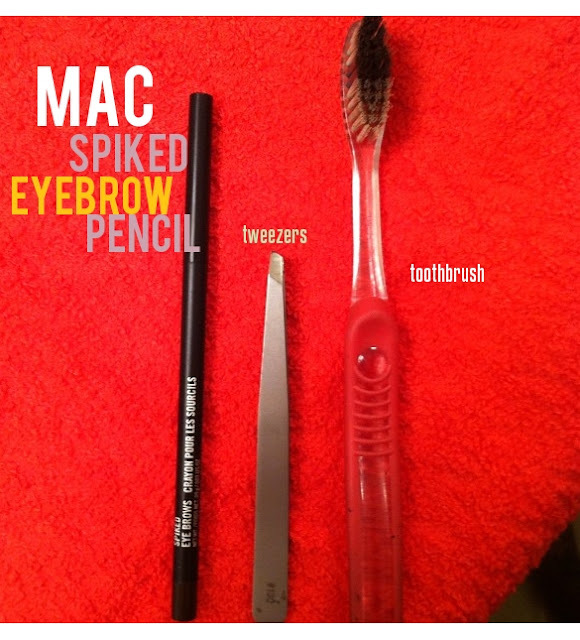 I immediately began to search for the name of the product and learned that she used MAC Spiked eyebrow pencil. Checked out some reviews on Youtube and found many others raving about this product. Now, MAC Spiked is a staple of mine and I'd recommend it to any and everyone! Jennifer Stano has developed a strong fan base online. She's married to a billionaire and runs her own swimsuit line. Her instagram feed is littered with dozens of pics of her living a fabulously lavish lifestyle. One would think that she rubs handcrafted creams made up of ground up diamonds on her skin but this isn't the case. Not too long ago she let the world in on her latest favorite all natural skin care product. Jennifer gave this message to her followers regarding Herbal Aloe Force: "One of my new favorite all natural products I've been using on my face day and night as well as on my neck and chest! I'm obsessed!" Jennifer also mentioned that she "definitely feels like this tightened my skin and pores and is super soft after you wash your face." I purchased this product after reading great reviews online. I've used various skin gel type products in the past so I knew that I would probably like this. What I like about this product over other Aloe gels I've used is that Aloe force uses the whole leaf (rind and gel) in it's formula and also combines other great herbal ingredients such as burdock root, slippery elm, green tea, ionic silver, hyaluronic acid and more. And at under $20.00, you don't have to be married to a billionaire to try out this product. Someone else posted this pic in their instargram feed with the message: "Beauty Secret! Ladies are always asking me "how do you get your skin so smooth?" "How do you get your skin tone so even?" I found this out from an online blog and decided to try it. It works wonders I loooooove loooooove this soap." I thought back to the time when I tried a Kojic Acid soap once before but I don't remember being as estatic about it as she was. Then I did some more research and found that most people who received the full benefits would allow the soap to remain on the skin for a couple of minutes (to allow the acid to work) before rinsing off. Since I didn't follow the instructions the first time I decided to have another go and see if I can create that even tone skin this time around. Finally, I'd like to share with you my official face polish. 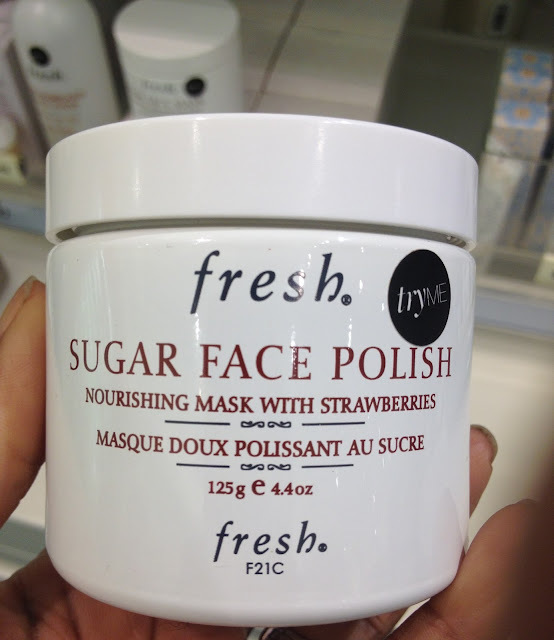 Again someone (who doesn't normally talk skincare) shared this online telling us that if we didn't use this face polish at least twice a week, we were crazy". I already use the Fresh's cleanser every day so she didn't need to tell me twice before I looked into this product further. I'll be honest and say that this Sugar Face Polish from Fresh is pretty expensive. I almost didn't buy it but the reviews were all favorable so I thought, '"what the heck?" I strolled over to my local Sephora where I received samples to try before I buy. The samples were pretty generous. As a matter of fact, I'm still using the samples and haven't even cracked open my jar yet. At this pace, I figure that I'll have this amazing face polish for at least a year or two. This face polish is high quality and smells delicious. I'm so glad someone mentioned this otherwise I probably wouldn't have come across it. I've also been using it on my hands to exfoliate and I absolutely love the results. It keeps my face and hands so smooth and uber moisturized. I'm in love. So now you all know how I've been occupying some of my free time lately. I'm super excited about all of these amazing gems and look forward to sharing more of these types of posts in the future. p.s. feel free to leave a comment and share any of your amazing beauty finds with us as well. Thanks for the heads up...once again wonderful information. I have a problem with large pores in the cheek area close to my nose. I am trying to find some good pore minimizers and a foundation tht will stay and not run becuz I get really oily. This info helps a lot. Great post! So informative! I really want that scrub. Im going to bookmark this post. I do this also on instragram! 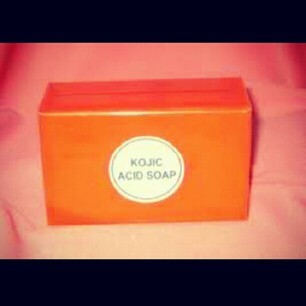 Wonderful information...I've been looking for something to even my skin tone and i think the kojic acid soap would be worth trying, I'm curious where did you purchase yours when you first tried it or where would you recommend me purchase it from? You can get the soap on Amazon or EBay. I've been using the soap, my Clarisonic (with the acne brush head), Queen Helen mint Julip mask and the cucumber peel. I finish everything up with the aloe force and sunscreen. My skin is looking so much better. I had to go through a small ugly phase as everything from deep dowm was extracted but now my skin is much smoother and way more even toned. I'm still working on it but I'm super optimistic about what my skin will look like a month from now. 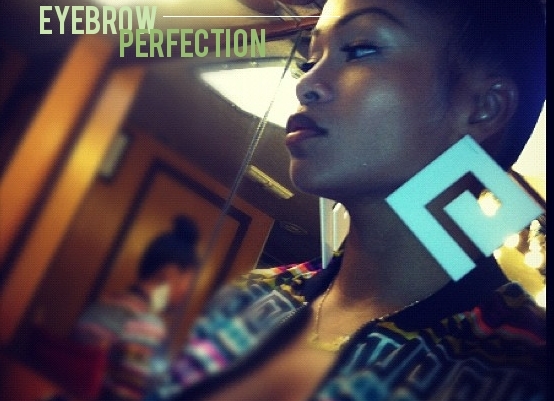 Creme of Nature Perfect Edges Giveaway! Nourish Hair Nutrition Vitamin Giveaway!